I woke up recently on the “heals” of a very interesting and thought provoking dream. I have come to appreciate that dreams carry very significant messages from the divine if we are open to receiving those messages and exploring them as part of our spiritual practice. So it was clear that my son Todd, in Spirit, had some divine guidance for me in this dream and information that he also wanted passed along to me and others as well. In this dream, Todd and I were watching a football game in Iceland in a dorm room full of people. It was a very crowded and noisy place. The game reached halftime and everyone got up from their seats to find the restrooms but unfortunately there were no restrooms inside the building. As we ventured outside, I noticed that Todd was trying to ride some type of a 3 wheel bicycle but it wasn’t working very well in the crowd. So I tried to make more space for him and his bicycle but again it wasn’t working well with lots of bumping going on around us. Just then I felt a big gust of wind blow in and looked up to see a very dark and ominous storm approaching. I felt my anxiety rise as we were in a foreign land and I didn’t know where to go to seek shelter. All at once, Todd transformed himself into a silver bird and was swept away by the winds that were blowing fiercely now around me. I began to chase Todd but he was like a paper blowing in the wind, always just a little in front of me and just beyond my reach. Then Todd, the beautiful silver bird, landed on the water just in front of me and started bobbing up and down like crazy in the erratic crashing waves. I thought, I must save him. Instinctively I dove into the icy wild sea but Todd, my beautiful silver bird, become engulfed in the waves and disappeared from my sight under the water as I repeatedly reached out to him frantically trying to rescue him from his fate. As I pulled myself out of the water, I found myself surrounded by friends and colleagues. I was very distraught and they handed me a very beautiful pair of white slippers to put on so I wouldn’t be affected by the cold temperature or snow and ice on the ground. “Did any of you see where Todd went?” I pleaded to my friends. “Yes. I saw him come up out of the water and enter into the storm,” replied a friend’s business agent as she pointed to the sky and the storm that had moved away from us but still visible on the horizon. At that moment I woke up and immediately knew that I needed to write it down. There are so many messages in this dream for me including: surrendering control, staying peaceful in the chaos, the power of transformation, the significance of Iceland and Miami in future travels, a recent conversation regarding a friend’s nephew who drowned and much much more. But Todd wants to chat about some of the highlights and how everyone can tap into the power of their dreams with intention to live a more purpose driven life that is aligned with the Creator. Todd: That was a good dream that you had Mom. Did you like how I turned into a silver bird right in front of your eyes? Mom: Well it was very interesting for sure but I was definitely very afraid in the moment. Todd: What were you afraid of Mom? Mom: I was afraid of losing you. Todd: But that is not possible Mom. You know this to be true and yet you still cling to those fears. Why do you think that is? Mom: I don’t know Todd – maybe it’s because I’m human and that’s just how it feels when we are in a human form. Todd: It’s a typical reaction to mass consciousness thinking for sure – that people and things you love can and will be taken away from you. But I assure you it’s just an illusion. Everything is energy and all energy has the ability to transform, just like I did in the dream. Did you not transform your fear into hope at the end of the dream? Mom: Yes, I guess I did because I didn’t have any better options at that time. You were no longer with me in the physical form and knew that you were still with me in a different way – leading me to Miami. What’s that about? Todd: Miami has significance for you and for your friends in the dream. It’s not my role to tell you why but rather to just prompt you to go there because you will receive further divine guidance once you act upon the information already given to you. You know this is true Mom. I have shown this to you many times already. Mom: And I assume the same is true for Iceland. Todd: Iceland is magical Mom! I can’t wait for you to arrive there! We will have some amazing experiences together there as well. Mom: So does every dream have purpose then Todd? Todd: Yes Mom. Every dream, every word, every thought, every experience has purpose. It’s all happening to help you and everyone get the most out of your lifetime on earth. Mom: What about the scary dreams Todd? I’ve had dreams of people chasing me and shooting me. Are you telling me those had a higher purpose too because they sure didn’t feel very loving or supportive or full of the divine. Todd: They were loving and supportive Mom. Did the people catch you in the dream? If they did, what happened then? Did you get shot in your dream? If you did what happened then? I’m sure you didn’t die in your dreams because…you can never die. Never. Never. Never. That’s just an illusion. An illusion that feels real in the lower realms but not truth in the higher realms and your expanded awareness. Mom: Once I got caught in my dream and my captors bound my hands and tortured me like a cat playing with a mouse. I knew they intended to kill me. Todd: Yeah, that was a beautiful moment Mom. Then what happened? Mom: I saw the ceiling of the room open up and a wispy white tornado descended from Heaven. It started swirling around and engulfed everyone in the room. My captors were frozen in time and space but my hands came unbound and I got up and fled to safety. Todd: Another beautiful experience Mom where you decided to call back your own power that is fully aligned with the love and light of God to help you, and as always, the divine team responds. What was your takeaway, your pearl of wisdom, from that dream? Mom: Whenever I feel threatened by dark energies now, I call in the power of Heaven to protect me. Todd: Awesome! And do you feel the response from your divine team now when you do that? Mom: Yes I do but why did I have to go through that scary experience to learn how to do it? Todd: Because that’s the beautiful part of your spiritual growth Mom. I could give you answers but it wouldn’t help you because you need to have experiences of your own to anchor this information into your awareness. That’s why I give you lots of riddles these days instead of direct answers. I want you to follow the clues and figure it out for yourself. That’s how you will remember what you’ve always known. And your dreams are a perfect playground for spiritual growth because your consciousness is not in the way with any self-limiting beliefs that you have been conditioned to accept – many of which are not fully in alignment with the Creator. Mom: I know there are many dreams that I don’t even remember. What is your advice for remembering more of our dreams? Todd: If you want to remember your dreams, it’s a great idea to set that intention before you go to sleep Mom. And I also like how you call in the Angels to oversee your activities and restore your body while you sleep. That’s good stuff. Mom: Anything else on dreams Todd? Todd: If you really want to do some purposeful dream work and take your spiritual work to the next level, it’s a great idea to set your alarm clock 40 minutes prior to the time you really need to get up. Instead of hitting the snooze button 3 times every 10 minutes for the next 40 minutes, you can set a second alarm to go off 40 minutes later. 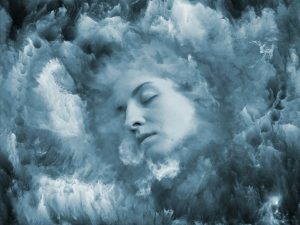 Before you drift back to sleep you can set the intention to remember your dreams, have your divine team show you whatever you need to know at this time, and ask them to wake you up at precisely the exact time so you can recall the message. When you wake up, write down whatever you recall before you put your feet on the floor because once you get out of bed, your memories will immediately begin to fade. It’s nice to have a notepad or journal on your nightstand for such moments. That’s going to open up a lot of messages from the divine for tapping into your dreams. Mom: So that’s it? Is that how to best harness the power of our dreams Todd? Get your copy of Sherri and Todd’s recently released fairytale Storm of Joy today – a message of hope and inspiration for audiences of all ages. Because…sometimes the good guy really does die and everyone still lives happily ever after! For more divine dialogue with Todd, follow us on Facebook or Twitter. Copyright © 2019 Dance with Todd. All Rights Reserved.